If you asked most striped bass fisherpeople the number one head for chasing those line sides, they’d probably say a sassy shad head. Why? Easy. 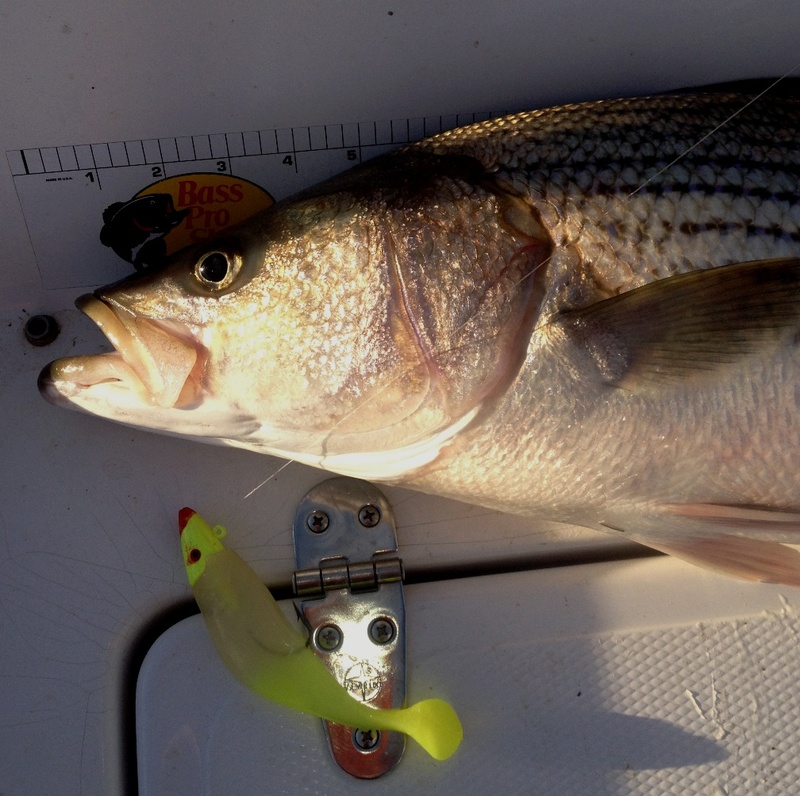 Threadfin and Gizzard shad are the food of choice for the stripes on Texoma. White bass will also tear into a school of shad. So, when trying to fool ‘em, a good solid, go-to bait is the sassy shad. If you look in any bait or tackle shop around, you’ll see them by the 1000s. Some sell for $ 0.99 and some sell for $2.99 each. 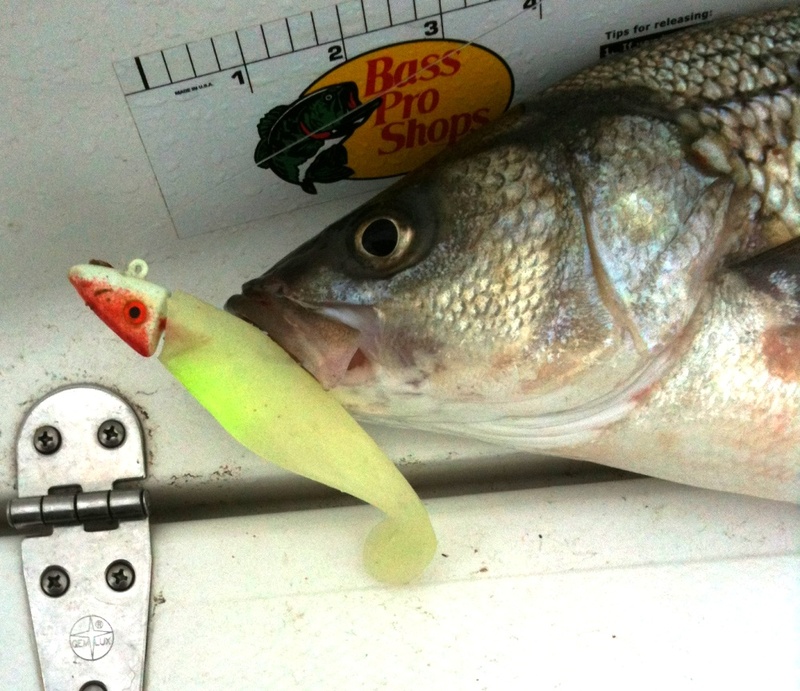 “Throwing a sassy” has probably caught more stripers on Lake Texoma (excluding live bait) than any other lure. 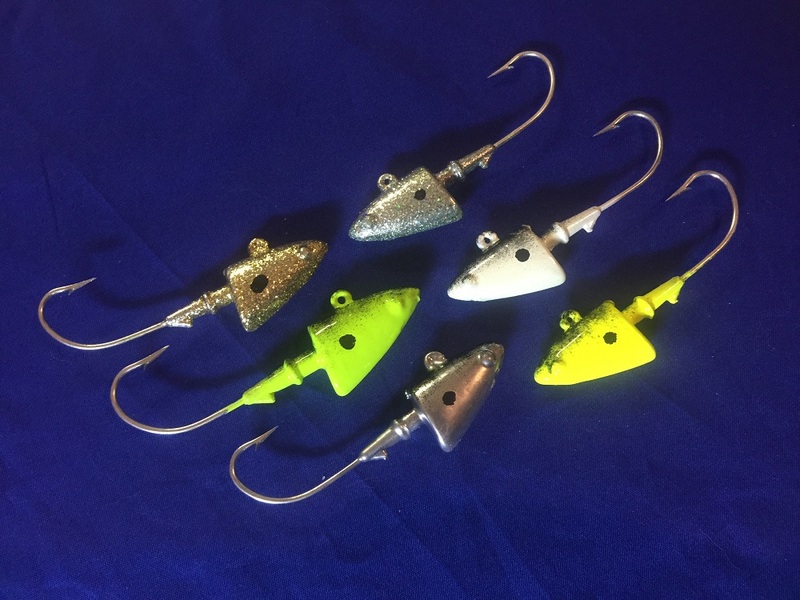 They are easy to rig, easy to throw. They can be fished with fast, medium, slow, and slow rolling retrievals. You bounce ‘em off the rocks, bounce ‘em off the birds, bounce ‘em off another boat, and if the fish are cooperating, you’ll catch some nice fish. I paint all my sassy heads with a black back to more closly resemble a live shad. I believe this makes a LOT of difference. 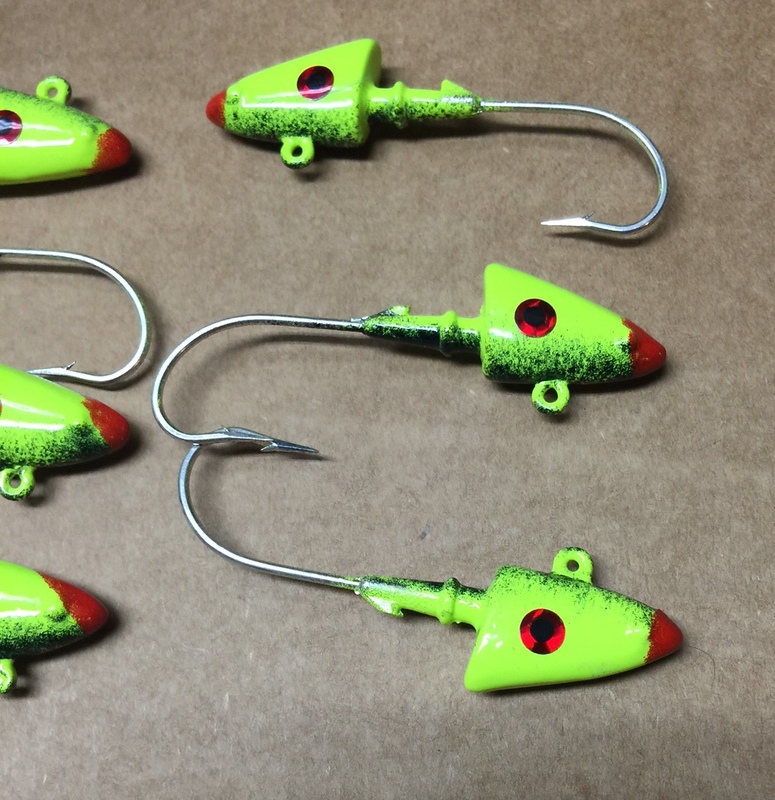 NOTE: 1.0 ounce heads with red hooks use a 3/0 hook instead of the usual 4/0. Red 4/0 hooks have been on order by my suppliers for a year and no one can get them. The 3/0 hook moves the barb closer to the head and is just as effective as the 4/0....or more so as I have been told by some guides.